Happy Sunday everyone, the December Challenge is up at Clique Kits. This month the challenge is Anything Goes with a twist. This twist is optional and can be a mini tag, mini card, mini album, mini layout or whatever mini means to you or however mini inspires you. 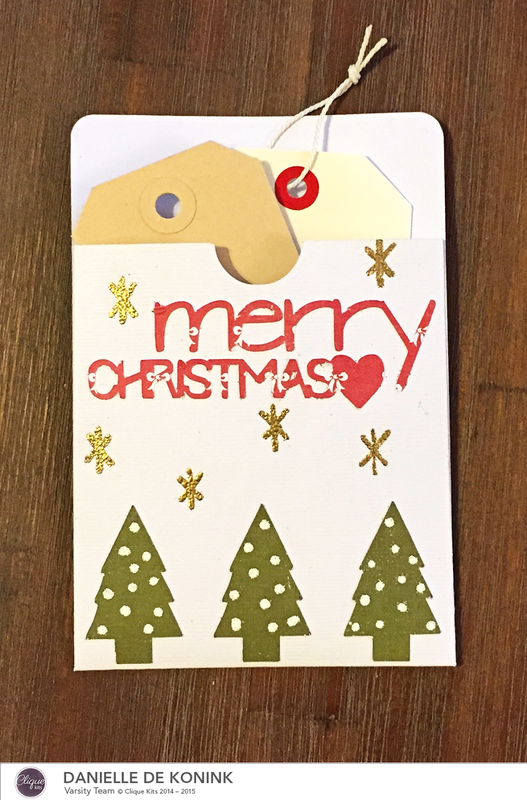 I created a Christmas card with the library pocket cut file from the December Enchanted Meadow kit. To decorate it I used some cut files from the Clique into the Holidays kit. The golden stars and the snow on the trees are made with embossing powder. 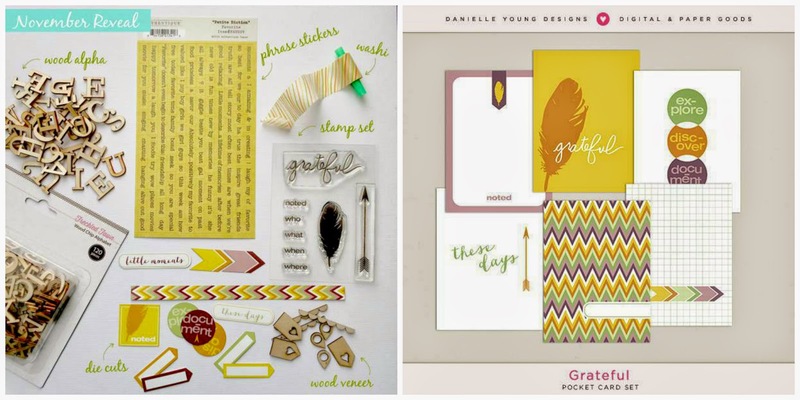 This month's sponsor is Creative Retreat and they are giving our randomly selected winner their November kit coordinating digital journaling cards designed by Danielle Young Designs. But there's more! We are so happy to offer you a 25% discount to the Creative Retreat store when you use code Clique25. For your chance to win, link up your projects overhere at Clique Kits by December 31st, 11:55 pm CST. Thanks for stopping by and enjoy your Sunday! Adorable card Danielle! Love the tags tucked in the pocket!